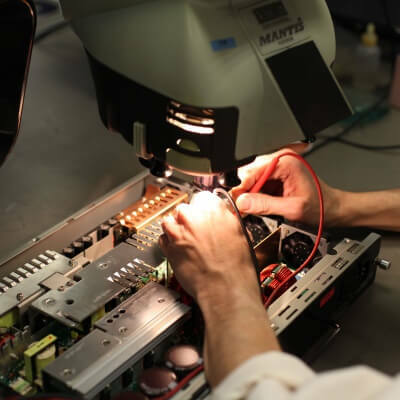 At ENS, we are specialised in providing you repair to component level for all major Networking Products Cisco, Juniper, IBM, HP, Nortel, Alcatel, etc. ENS has over 30 Years experiences in the field of Networking Products Service, offering you the best solutions for all your Network Hardware Repair Requirements includes Switches, Routers, Hubs, Modems. Firewalls, Etc. ENS is recognised as one of the leading IT support services providers across the UK, Ireland and mainland Europe. Even the most unusual in the WAN, LAN area are always welcome. Along with hardware repairs in the LAN / WAN environment, ens, also takes care of the diagnosis of complex configurations. Our highly qualified staff are thoroughly trained and are always up-to-date because they hone their knowledge with regular training. Our strict quality management procedures ensure a smooth process. All of our repair services come with a warranty. When complex technology fails and nothing functions anymore, our engineers search for the causes in order to fix the problem. 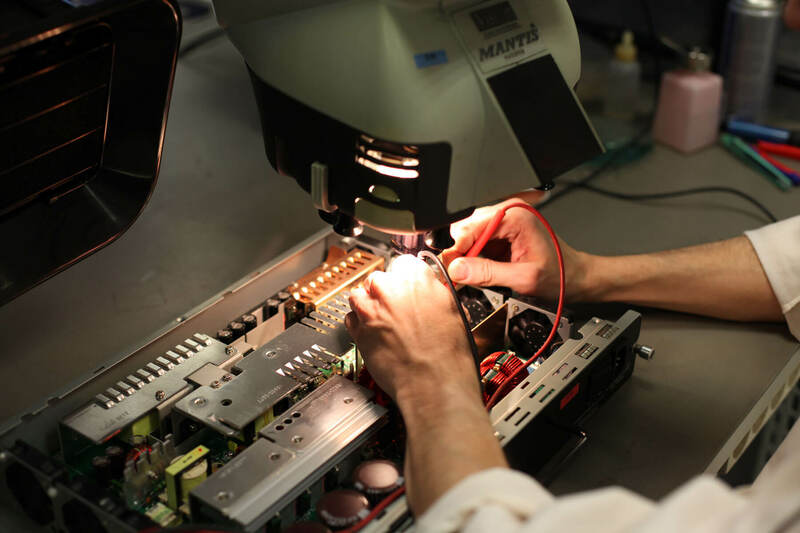 Technology repairs for well over 150 manufacturers are carried out at microchip level with a high degree of expertise at the ens laboratories. Component level means that we don’t just replace the faulty module. Instead, we locate the faulty component and replace only that. For us product repair still signifies craftsmanship! This also reduces the use of resources while saving costs and the environment. Even when the original manufacturer is no longer able to offer a solution anymore, in most cases our engineers considerable expertise enables them to get the product working again. Adva Optical is a German provider of telecommunications equipment, specifically fiber-based transmission technology. Contact us in case of a defect. Avaya Inc. is an American telecommunications company specializing in telephony, call center technology and network technology. In 2009, Avaya acquired the Nortel Enterprise division. Ask us when it comes to repairs and maintenance contracts for this manufacturer. Albis Technologies is a Swiss manufacturer of telecommunications hardware specifically for network operators (carriers). We repair current and discontinued products at chip level for you. Agilent Technologies, Inc., is an American developer, manufacturer and supplier of analytical instrumentation, systems and solutions. Contact us in case of a defect. It manufactures products for IP telephony, media gateways and VoIP gateways. We repair current and discontinued products on Chiplevel. ATI was an American manufacturer of graphics cards. In the year 2006 ATI was taken over by the processor manufacturer AMD. The ENS group also offers repairs and service for manufacturers who are no longer established on the market. AETHRA Telekommunications is an Italian manufacturer of telecommunications hardware. As a manufacturer-independent repair service provider, we are happy to prepare an offer. Alcatel-Lucent is a French manufacturer and provider of telecommunications and network equipment. The company has been part of the Finnish Nokia Group since January 14, 2016. Ask us when it comes to repairs and maintenance contracts for this manufacturer. Allied Telesis is a Japanese provider of secure IP / Ethernet access solutions designed specifically for copper and fiber access infrastructures. Contact us in case of a defect. AMX is a manufacturer of multimedia switches, media and building control, signal management, digital signage and IPTV. The AMX GmbH, a company of the Harmann Group. Due to our repairs on component level we also offer an excellent repair service for this manufacturer. Arpac Opto is a manufacturer of network technology, especially fiber optic transmission technology. Ask us in case of a defect. APC (American power conversion) is a manufacturer of uninterruptible power supplies (UPS). APC is part of the Schneider Electric Group. We are happy to offer you repairs and maintenance contracts for this manufacturer. Apple Inc. is an American company that develops and sells consumer electronics, smartphones, tablets, and computers. Contact us in case of a defect. Aruba Networks, Inc. is a company of the Hewlett Packard Group, producing and distributing mainly wireless LAN technology. As a manufacturer-independent repair service provider we are happy to create an offer. Ascom Holding AG is a Swiss telecommunications technology company. We repair current and discontinued products on Chiplevel. Astaro was a German manufacturer of network security products. Astaro was acquired by the English company Sophos. Of course, we also repair equipment from manufacturers who no longer offer service. Astron Cooperation is an American manufacturer of controllable power supplies and laboratory supplies. Contact us in case of a defect. Asus is a Taiwanese manufacturer of computers, computer accessories, network technology and servers. Due to our part-level repairs, we also offer a excellent repair service for this manufacturer. ATEN International Co., Ltd. is a keyboard video mouse (KVM) switch manufacturer. As a manufacturer-independent repair service provider we are happy to create an offer. Avocent Corporation is a manufacturer of KVM switches. Emerson Electric Corporation has been the owner of Avocent Corporation since the year 2009. Ask us in case of a defect. Barracuda Networks, Inc. is an American manufacturer of network technology such as firewalls and Loadballancern. Ask us for repairs and maintenance contracts for this manufacturer. BATM Advanced Communications is an Israeli manufacturer of telecommunications equipment specifically for Metro Area Network Ethernet Telecom solutions. We repair current and discontinued products on Chiplevel. Best Power is a former manufacturer of uninterruptible power supplies (UPS). Best power is now integrated into the Eaton Electronic group. As a manufacturer-independent repair service provider we are happy to create an offer. The Taiwanese group Trillion Electric Co. Ltd establishes, among other things, wireless broadband routers and WiFi hotspots. Talk to us about repairs. Black Box Network Services is a provider of data infrastructure, communications, and networking products. Contact us in case of a defect. BlackBerry (formerly research In Motion, short rim) is a Canadian manufacturer of smartphones. Contact us in case of a defect. Blue Coat Systems Inc. is an American manufacturer of security and networking solutions. We repair current and discontinued products on Chiplevel. Bosch Telecom GmbH was a German manufacturer of telephone systems and telephone terminals. Bosch Telecom GmbH was Tenovis after the takeover by Marconi. In the year 2004, Tenovis was acquired by Avaya. Contact us in case of a defect. Brocade Communications Systems, Inc. is an American manufacturer of network technology such as Fibre Channel products. Ask us for repairs and maintenance contracts for this manufacturer. Cabletron Systems was an American network supplier. Since 2000, Cabletron is the parent company of Enterasys Networks. Of course, the ENS group also offers repairs and service for manufacturers that no longer exist. Channel Well Technology (CWT) manufactures power supplies (PSUs) for many manufacturers of network products. We repair current and discontinued products on Chiplevel. Check Point Software Technologies Ltd. is a software company for firewall and VPN products. Following the takeover of the safety Technology Division of the Finnish manufacturer Nokia in the year 2008, the portfolio was expanded by hardware solutions. We are happy to offer you repairs and maintenance contracts for this manufacturer. Cisco Systems, Inc. is one of the world's leading manufacturers of network technology such as unified communications, routers, switches (LAN, SAN), WLAN, VoIP, video, telepresence, network management, security products (firewall, authentication, virtual private network). Ask us for repairs and maintenance contracts for this manufacturer. Cube Optics is a German manufacturer of opt. Transmission systems of network technology such as metro area Network products. Huber + suhner Cube Optics AG has been a subsidiary of the Swiss Huber + Suhner group since 2014. We are happy to offer you repairs and maintenance contracts for this manufacturer. D-Link Corporation is a Chinese manufacturer of network technology such as routers, access points and switch. As a manufacturer-independent repair service provider we are happy to create an offer. Dell is an American manufacturer of laptops, computers, computer accessories, servers and networking. Due to our part-level repairs, we also offer a excellent repair service for this manufacturer. DeTeWe was a manufacturer of telecommunications technology. In 2005, DeTeWe was sold to Aastra. After the acquisition of Aastra by Mitel 2014, the name was renamed to Mitel Deutschland. Of course, the ENS group also offers repairs and service for manufacturers that no longer exist. Dev System Technik is a German manufacturer of intelligent systems for RF signal management. Contact us in case of a defect. The US-American company Digi International is a manufacturer of network technology. We repair current and discontinued products on Chiplevel. Digital Equipment Corporation (DEC) was an American manufacturer of network technology such as the DEC server. Dec 2002 was acquired by Hewlett-Packard. The ENS group also offers repairs and service for manufacturers who are no longer established on the market. Eaton is an Irish manufacturer of electrical systems especially UPS (uninterruptible power supply) or UPS (Uninterruptible power supply). We repair current and discontinued products on Chiplevel. ECI Telecom Ltd. From Israel, among other things, telecommunication and network hardware specifically for network operators (carrier) manufactures e.g. Metro Area Network Ethernet products. As a manufacturer-independent repair service provider we are happy to create an offer. ELCON GmbH is a German manufacturer of hardware specifically for network operators (carriers). Elcon arose from the DDR VEB Robotron. Due to our part-level repairs, we also offer a excellent repair service for this manufacturer. Eltek Valee is a provider of secured power supplies for the telecom and datacenter sectors. Founded as Voigt & Haeffner, Eltek now belongs to the Delta group. We repair current and discontinued products on Chiplevel. Emerson Electric Company is an American manufacturer of power supplies and non-disruptive power supply. As a manufacturer-independent repair service provider we are happy to create an offer. Enterasys was founded 1983 as Cabletron Systems and was one of the leading manufacturers of active network technology, such as routers, switches and access points. Enterasys was acquired 2014 by the US company Extreme Networks. The ENS group also offers repairs and service for manufacturers who are no longer established under this name on the market. Errepi GmbH is a German manufacturer of uninterruptible power supplies ups up to 120 KVA. Contact us in case of a defect. EXFO from Canada, among other things, manufactures network hardware especially for network operators (carrier) e.g. Metro Area Network Ethernet products. Ask us in case of a defect. Extreme Networks is one of the leading manufacturers of network technology with transmission speeds of up to 100 gigabit. 2014, Extreme Networks took over the competitor Enterasys. As a manufacturer-independent repair service provider we are happy to create an offer. F5 Networks, Inc. specializes in the development and production of application Delivery networking (ADN) products such as Loadballancern. We repair current and discontinued products on Chiplevel. Fiberxon from China manufactures optical transceivers (Gbic, SFP, Xfp..). Talk to us about repairs. Finisar from China manufactures optical components such as optical amplifiers, test devices and transceivers (Gbic, SFP, Xfp..). Ask us in case of a defect. The Swiss manufacturer FLEXDSL manufactures solutions for DSL applications, such as SHDSL modems, Fiberoptic modems and interface converters. Contact us in case of a defect. Fore Systems was a manufacturer of network technology. Since 2006, fore is part of Ericsson. The ENS group also offers repairs and service for manufacturers who are no longer established on the market. Fortinet is an American manufacturer of network products, especially firewalls. We repair current and discontinued products on Chiplevel. Foundry Networks, Inc. was an American manufacturer of active network technology such as switches and routers. Foundry introduced the first Gigabit Ethernet Swich to the market in 1997. 2008 was acquired by Brocade Foundry. Ask us for repairs and maintenance contracts for this manufacturer. Fujitsu Siemens Computers (FSC) was a German manufacturer of personal computers and laptops and a joint venture of Fujitsu Computers Europe and Siemens computer systems. As a manufacturer-independent repair service provider we are happy to create an offer. Funkwerk Enterprise Communications GmbH was a German manufacturer of telecommunications and network access solutions. Since 2011, Funkwerk has been part of the Spanish Teldat group. Ask us for repairs and maintenance contracts for this manufacturer. Gunter Mann & Drunck GmbH System Development is a German company specializing in the production of KVM systems. As a manufacturer-independent repair service provider we are happy to create an offer. Gigaset was originally a brand of Siemens home and Office communication devices. Cordless telephones and wireless router are manufactured. We repair current and discontinued products on Chiplevel. HG Genuine manufactures optical components such as transceivers (Gbic, SFP, Xfp..). Contact us in case of a defect. HP Inc. (until November 1, 2015 Hewlett-Packard Company) is one of the largest manufacturers of personal computers, network technology and servers. Ask us for repairs and maintenance contracts for this manufacturer. The High Tech Computer Corporation (HTC) is a Taiwanese manufacturer of mobile phones and tablets. Contact us in case of a defect. Huawei Technologies Co., Ltd. is a Chinese manufacturer with a very wide Poroduktportfolio, such as mobile phones, network technology, communication technology and solar inverters. Ask us for repairs and maintenance contracts for this manufacturer. The International Business Machines Corporation (IBM) is the leading company for hardware, software and services in the IT sector. Due to our part-level repairs, we also offer a excellent repair service for this manufacturer. Igel Technology GmbH is a manufacturer of thin and zero client systems. Due to our part-level repairs, we also offer a excellent repair service for this manufacturer. nnovaphone AG is a German manufacturer of systems in the areas of IP telephony, unified communications, Internet, mobile services. As a manufacturer-independent repair service provider we are happy to create an offer. KTI Networks International is a manufacturer of network technology such as routers, access points and switch. Due to our part-level repairs, we also offer a excellent repair service for this manufacturer. Leroy-Somer is a French company for drive technology and generators and is part of the Emerson Electric Company. Contact us in case of a defect. Linkpro is a Taiwanese manufacturer of network and Telefonieprodukten such as routers, switches, IP cameras, access points. Contact us in case of a defect. Linksys is a network technology manufacturer. Linksys was a subsidiary of Cisco and was sold 2013 to Belkin. Contact us in case of a defect. LiteOn is a Taiwanese manufacturer of optical and SSD data storage products. As a manufacturer-independent repair service provider we are happy to create an offer. Lucent Technologies has developed systems for communication networks with a focus on the convergence of networks, services and communication media for network operators, large corporations and public authorities. Ask us for repairs and maintenance contracts for this manufacturer. Marconi is a former British telecommunications supplier, which was largely purchased by Ericsson in January 2006. Ask us for repairs and maintenance contracts for this manufacturer. MGE is a manufacturer of uninterruptible power supplies (UPS). Talk to us about repairs. Microsens is a German manufacturer of fiber optic transmission systems. As a manufacturer-independent repair service provider we are happy to create an offer. Motorola Systems is an internationally active manufacturer of products for mobile communication and networks. Ask us for repairs and maintenance contracts for this manufacturer. Moxa Inc. is a Taiwanese manufacturer of network solutions for industrial automation with products from the Industrial Ethernet, IEEE 802.11 and embedded computing sectors. We repair current and discontinued products on Chiplevel. MRV Communications is an American manufacturer of optical network communication and carrier technology products. As a manufacturer-independent repair service provider we are happy to create an offer. MUGLER AG is a German manufacturer of products for mobile communications, public radio, radio and radio. As a manufacturer-independent repair service provider we are happy to create an offer. Multitech is a manufacturer of communication equipment for industrial machine to machine applications (M2M). Due to our part-level repairs, we also offer a excellent repair service for this manufacturer. NetApp, Inc., formerly Network Appliance, Inc., offers products in the field of data storage and data management, such as NAS systems. We are happy to offer you repairs and maintenance contracts for this manufacturer. Netgear distributes products for data networks (routing, switching, security...). Netgear was in the meantime part of the Nortel Group of Companies. Contact us in case of a defect. Nexsan was an English manufacturer of storage, backup and data management solutions. The ENS group also offers repairs and service for manufacturers who are no longer established on the market. Nokia is a Finnish provider of telecommunications solutions. Alcatel-Lucent took over Nokia in the year 2016 and became the largest supplier on the market. We repair current and discontinued products on Chiplevel. Nomadix is a provider of intelligent network devices, for security in mobile solutions and public Internet access. As a manufacturer-independent repair service provider we are happy to create an offer. NovaTec is a German manufacturer of PBXs, GSM gateways and VoIP media gateways. We repair current and discontinued products at chip level for you. Nokia Siemens Networks (NSN) was a joint venture between the Finnish Nokia and the German Siemens AG. As a manufacturer-independent repair service provider, we are happy to prepare an offer. OneAccess is a French manufacturer of active communication technology such as routers, PBXs and voice solutions. Contact us in case of a defect. OpenGear from Australia specializes in "smart out-of-band infrastructure management", providing users with secure access and control over their networks remotely. Contact us in case of a defect. Opnext, Inc specializes in optical transmission systems that provide data over light in fiber optic cables for telecommunications and data communications. We repair current and discontinued products at chip level for you. Optoway is a manufacturer of optical transceivers such as GBICS, SFP and XFP. Ask us in case of a defect. Paradyne was a US manufacturer of network technology. In 2005 he was taken over by Zhone. The ENS Group also offers repairs and service to manufacturers that are no longer established in the market. Voxtream is a Danish manufacturer of VoIP gateways, multiplexers and routers. Talk to us about repairs. Patton is a manufacturer of modules for network access and connectivity, voice over IP, triple play and video applications. We repair current and discontinued products at chip level for you. Philips is one of the world's largest electronics companies based in Holland. Due to our repairs on component level we also offer an excellent repair service for this manufacturer. Phion AG was an Austrian company specializing in firewall solutions. Since 2010 she is part of the Californian company Barracuda Networks. Of course, we also repair equipment from manufacturers that no longer offer service. Polycom, Inc., headquartered in San José, California, is a publicly traded US telecommunications equipment manufacturer. As a manufacturer-independent repair service provider, we are happy to prepare an offer. PowerDsine is an Israeli manufacturer of POE (Power over Ethernet) solutions. Contact us in case of a defect. Promise Technology, Inc. is a manufacturer of RAID storage systems, such as the Vtrack system. Ask us in case of a defect. Proxim Wireless Corporation offers Wi-Fi, 4G wireless network technologies for wireless Internet and video surveillance. As a manufacturer-independent repair service provider, we are happy to prepare an offer. Psion is one of the leading manufacturers of mobile data acquisition devices such as MDE. We repair current and discontinued products at chip level for you. Pure is a manufacturer of photovoltaic inverters. Due to our repairs on component level we also offer an excellent repair service for this manufacturer. Pushkablue Data Communications Ltd is a manufacturer of remote console access and power reboot solutions. Ask us in case of a defect ..
Quantum is a provider of specialized storage solutions. Contact us in case of a defect. Quescom is a French provider of GSM gateways, fax servers and wireless iPBX. Talk to us about repairs ..
Quick Eagle Networks is a provider of intelligent WAN access solutions and multilink access products. We repair current and discontinued products at chip level for you. Rad is an Israeli provider of cost-effective access and backhaul solutions in wine networks. We repair current and discontinued products at chip level for you. Ricoh is a Japanese provider of digital office communication systems (eg multifunction systems, printers). Contact us in case of a defect ..
Rittal GmbH & Co. KG is a German manufacturer of control cabinets, power distribution systems, air conditioning and IT infrastructure. Ask us in case of a defect ..
Riverbed Technology is a US company specializing in wide area network (WAN) optimization products. As a manufacturer-independent repair service provider, we are happy to prepare an offer. Rose Electronics of California is a leader in KVM (keyboard, video, mouse) switches, AV switches, data switches and video switches. We repair current and discontinued products at chip level for you. Samsung is a Korean company with many main activities. Samsung Electronics is a manufacturer of consumer electronics, smartphones and tablets. As a manufacturer-independent repair service provider we are happy to make an offer. Schmid Telecom from Switzerland provides ADSL access systems for broadband data communication, such as Router. Due to our repairs on component level we also offer an excellent repair service for this manufacturer. Schneider Electric is an American corporation active in the areas of electrical power distribution and industrial automation. A subsidiary is APC, which specializes in UPS systems. Contact us in case of a defect ..
ShoreTel from USA manufactures telephony solutions such as telephone systems and end devices. Contact us in case of a defect ..
Signamax is a manufacturer of passive network technology, such as Patch panels and active network technology such as e.g. Media Converter. 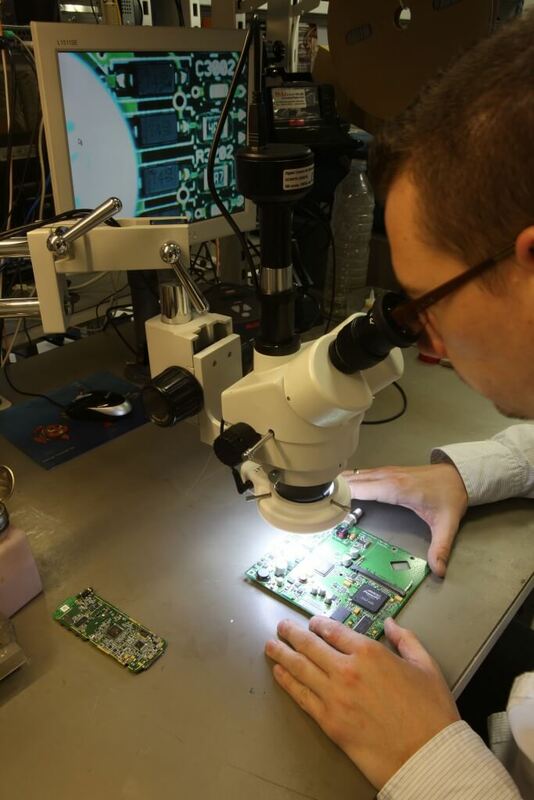 We repair current and discontinued products on chip level for you. SINPRO is a manufacturer of power supplies (PSU9 and Switching Power Supplies), we repair current and discontinued products at chip level. SMC is a US manufacturer of networking products, such as Routers, switches, wlan solutions. Due to our repairs on component level we also offer an excellent repair service for this manufacturer. snom technology AG is a German manufacturer of products for Voice over Internet Protocol (VoIP) telephony. Contact us in case of a defect .. The German company Socomec manufactures switching and protection solutions and UPS systems. As a manufacturer-independent repair service provider, we are happy to prepare an offer. Solid Optics is a manufacturer of optical transceivers, specially compatible optical transceivers for the most popular manufacturers such as Cisco, HP, Extreme Networks. Contact us in case of a defect. Sony is a Japanese company with many main activities including the production of consumer electronics, smartphones PC. Due to our repairs on component level we also offer an excellent repair service for this manufacturer. Sphairon is a German manufacturer of telecommunication and networking products. Sphairon has been part of the Zyxel Group since 2013. As a manufacturer-independent repair service provider, we are happy to prepare an offer. Sun Microsystems, Inc. was an American manufacturer of computers and workstations. We will gladly make you a repair offer for this manufacturer. Symbol is the division of Motorola Barcode Scanners. We will gladly make you a repair offer for this manufacturer. Tandberg is a Norwegian manufacturer of videoconferencing systems: Tandberg is now part of the Cisco Group. We repair current and discontinued products at chip level for you. Telewave manufactures products for wireless communication. For this we offer a repair service on Chiplevel. Thales is a French company that produces military, aerospace solutions. Feel free to contact us for a repair. Thomson is a manufacturer of routers that are widely used by network operators. We are happy to assist you with words and deeds. Toshiba Corporation is an international technology group. Through our component-level repairs, we also offer an excellent repair service for this manufacturer. UNIVERSAL MICROELECTRONICS CO. LTD. (UMEC) is a British manufacturer of power supplies. Our sales team is looking forward to your inquiry. Vanguard Networks is a manufacturer of network routers. We repair current and discontinued products at chip level for you. Wytron makes hard drive duplicator. We repair current and discontinued products at chip level for you. X.Net 2000 manufactures devices for data communication. Ask us. 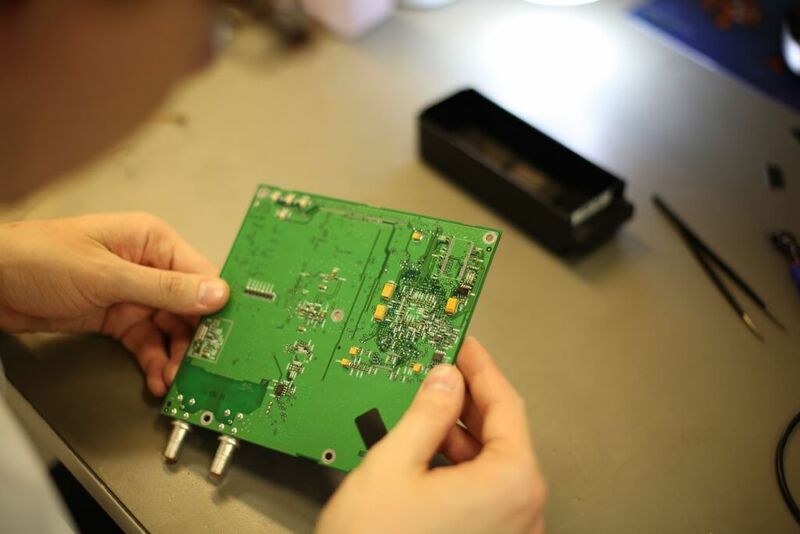 ZYXEL manufactures active network devices. Contact us in case of a defect.